The company shipped nearly four times as many smartphones in the first half as it did a year earlier. Rising Chinese handset maker Xiaomi shipped nearly four times as many phones in the first half as it did a year earlier -- and could end overtaking Lenovo to become the second largest smartphone vendor in the country, behind Samsung. The homegrown tech company has been taking China by storm with its affordable but feature-packed smartphones. In this year's first half, Xiaomi handset sales reached 26.1 million units, up year over year by 271 percent, said the company's CEO in a Wednesday Internet posting. Revenue for the first half grew more slowly, up 149 percent year on year to 33 billion yuan (US$5.3 billion), as average selling prices dropped. It's been a fast ascent for a company, which only began selling smartphones in 2011 but is now preparing a global expansion. 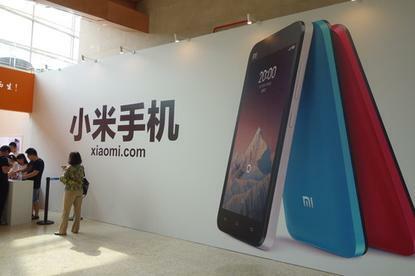 This year, Xiaomi is targeting ten foreign markets, including Indonesia, Russia and Brazil. Xiaomi originally started off as a niche smartphone dealer, selling higher-end handsets, but still at less than half the price of an Apple iPhone. To keep costs and inventory down, the company initially sold only limited quantities of product every week. This effectively restrained some of Xiaomi's growth, forcing would-be customers to wait for the next batch of phones to arrive. Wednesday's announcement, however, signals that Xiaomi has been expanding its production capabilities, and building up a bigger inventory, said Nicole Peng, an analyst with research firm Canalys. "They are starting to sort out their supply chain issues," she said. "When they launched their first phone, Xiaomi had very high pre-orders, but it was doubtful whether they could fulfill them. Consumers would just be forced to order something else." Driving much of Xiaomi's growth is its line of lower-end Redmi products, which start at 699 yuan ($113) when bought without carrier subsidies. The prices are so low that the phones are putting pressure on rival vendors, said Peng, who estimated that about 60 percent of Xiaomi's smartphone sales belonged to its Redmi series. Over the past months, the company has been steadily growing its market share, becoming China's third-largest smartphone vendor, ahead of Apple, in this year's first quarter. If the company can continue its sales growth, Xiaomi will probably end up placing second in the market, Peng added. By the end of 2014, Xiaomi wants to sell 60 million phones. "Xiaomi is no longer a niche vendor anymore, it's already challenging the top four companies in the business," she added.